Expanding your business? Starting a new one? Global Access Capital can help you grow through alternative financing solutions, and you have the freedom to use your funds as you wish. It's your business, let us help you succeed. We will find the best solution to fit the needs of your business to help you expand, take advantage of new opportunities or solve cash flow problems. There are many financial and operational reasons to lease instead of buy, including ensuring that you always acquire the very latest and most suitable equipment or technology for your needs, without the risk of being responsible for equipment that breaks down or becomes obsolete. We can help you with your real estate financing needs. We specialize in: commercial real estate with term mortgages at a competitive rate, funding for the construction of commercial properties, conduit loans, and strata improvement financing and leasing. 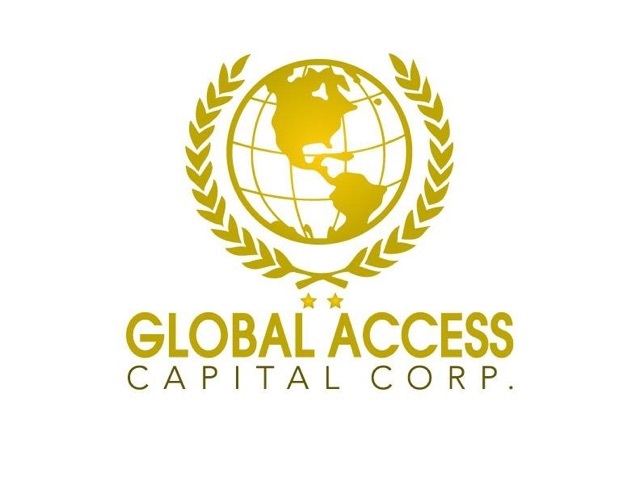 Global Access Capital is a boutique financial services firm. We build strong foundations with our personal and professional approach, helping businesses grow. By meeting their capital requirements, we ensure that their success is our success, and we give back to our community to help make the world a better place, one business at a time. We will find the best solution to fit the needs of your business to help you expand, take advantage of new opportunities or solve cash flow problems. Our financing services include lines of credit, venture capital and commercial lending. Leasing is one of the most common ways for businesses to finance the acquisition of commercial or technical equipment to be used as part of their operations. We offer transport, medical and equipment leasing. We can help you with your real estate financing needs. We specialize in: commercial real estate with term mortgages at a competitive rate, funding for the construction of commercial properties, construction loans, conduit loans, and strata improvement financing and leasing. Contact us for all your commercial, conduit, strata and construction leasing and expand your business and its operations.